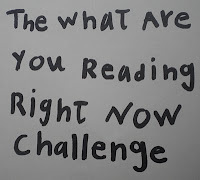 The Big Sister came up with this idea for this Challenge --to find out what everyone is reading, right now, we loved the idea --and so did our readers. Beginning with our September edition we will begin each month with an invitation to share What Are You Reading RIGHT NOW. In honor of today being International Literacy Day why don't you share what you are reading --and if you aren't reading anything, get some ideas from our readers and start reading! 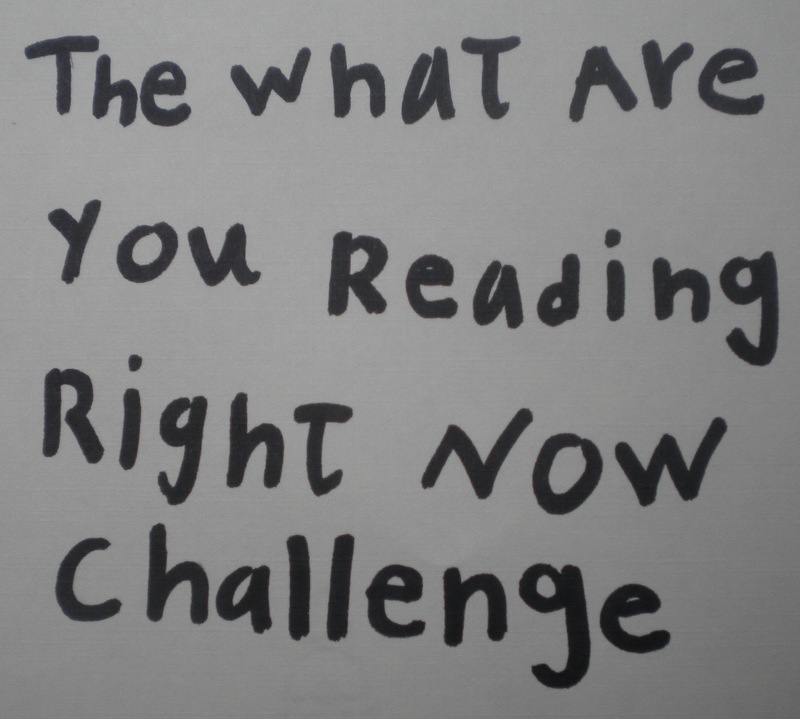 Then come back every time you begin a new book, or feel moved to tell The Books for Walls Project what you are reading! Title of Book, Author, and your thoughts on the book. Reading aloud: City of Beasts by Isabelle Allende --we give it six thumbs up, although some of the text IS edited by The Mom --technically the book is for teens! The best two parts of this book: one of the main characters is named Nadia and it is the first of a series --oh, and we hear it is going to be made into a movie! We have 1/3 to go and will give the report when we are done. This book (a gift from a dear friend) has been patiently waiting next to my bed for a long time. The time never seemed quite right to delve into its pages. Perhaps I was worried it would disappoint after watching the visually stunning movie. What I have found in its pages is a richness in character that can never be achieved in a movie. I should have known better. Just finished: The Girl Who Fell From the Sky Heidi Durrow I found this book at just the right time. In a summer filled with not enough time and a bit too much sadness, I found answers this story. Connections to my childhood in Detroit and learning to deal with grief and sadness. I look forward to more by Heidi Durrow. It's the second book in the Mortal Instruments series, and it's enjoyable enough. A modern day fantasy replete with vampires, demons, werewolves, elves, and demon-hunters, of course. I think it's just because I've been reading adult fantasy for a while that dipping back into YA fiction has me feeling that it's a bit young! But I do like the world created for this book, and the humor. So I'm still enjoying it! For my grandson's 6th birthday I gave him a copy of Now We Are Six by A.A. Milne with a note that said that each month for the year before his next birthday he would receive another book. Choosing the books, of course, means I must read them again first. October's book will definitely be the Just So Stories. I remember the stories, but I don't think I ever read them in the original before, and I am captivated! Much of the vocabulary will need explanation for a 21st century American child, but it's something that can be done as you read along and the total experience is delightful. Alyssa: I am reading Anne of Green Gables, by L.M.Montgomery, Secrets in the Hills a Josefina mystery by Kathleen Ernst,(American Girls collection) and Keeping a Horse the Natural Way. a book about natural horsemanship, by Jo Bird. In preparation for going to Africa next week, I am reading "The Price of Stones" about a man from Uganda who raises money to build a school for AIDS orphans in Uganda. Out of Africa is next. … the TC Reads choice for 2010, Dreamers of the Day, a 2008 novel by Mary Doria Russell. Traverse City’s Library selects a noteworthy book for the townsfolk to read. Then in the fall, the author is hosted for a lecture and question & answer session. Living in a relatively small town has its advantages. For me, this historical fiction, set in Ohio during WWI and The Great Influenza, is both stimulating and educational. It’s about a mild-manner female teacher’s unexpected adventure and effect on the Middle East and the face of the World during the talks of Winston Churchill and T. E. Lawrence (of Arabia). Soon in my read, the geopolitical intrigue will turn this work into a page-turner. …and what an incredible journey to Africa, Maureen! Perhaps, a picture reading in the savannah? No lions lurking, please! I bet the Sisters would LOVE it - me too. I am reading Away by Ann Bloom. It's a story about a young Russian woman's quest in New York City to create a better life for herself. She's searching for something that will make itself known...only on page 30. This book grabbed me within 2 pages. Ann Bloom's writing is extraordinary - and it should be. She's a creative writing professor at Yale University. The non-fiction addict is back at it again...I'm reading Rocket Men, Craig Nelson. A very detailed and technical telling of the journey to the moon. Great insight as to the inner workings of the NASA programs of Apollo age, although I've skipped the whole discussion of rocket development (major tech info). My mother recommended this book to me, and I'm just getting into it. How I love a well-written narrative that will carry me to a different time and place. . . ! --suggested to me by my parents (The Bean and The Poet) who were referred to the book by another friend. I grew up near Grand River and Joy as I read each page I can see the places Susan describes, the high school I might have gone to (Mumford), and hear them too, the radio station we listened to (WJR) and the people, well, I feel as if I knew as least a couple of the characters... it makes me miss Detroit. Then again, I feel relief that we did move, but feel sad to admit it. Tonight we learned that one of our regular contributors experienced violence, too close to home, earlier this afternoon in Detroit. I admire all of my old neighbors and friend that continue to live in that wonderful neighborhood. I am glad that Susan wrote this book and that folks may learn more about Detroit's past to help us deal with the present with a little more wisdom. I will definitely write more about Grand River and Joy. **Susan Messer has agreed to be interviewed by The Books for Walls Project --watch for it this autumn! The Dad tried to sneak American God's by Neil Gaiman away from The Mom who finally got a copy (there was a bit of a wait for it at the library.) Well tonight The Mom told The Dad that he has to wait his turn. What we are both wondering is why/how we didn't get our hands on this book before. The Mom is only 100 pages in and cannot give a great summary yet... but if it keeps going like this, it could be a top ten book! Thanks Amy Shamroe from the Traverse City Children's Book Festival for the recommendation --have you checked out the Book Festival yet? I have 16 days to finish it because there are 36 holds on the book now! I love a deadline, it pushes a book to #1 on my list.